Tithing is a principal that I have applied in every era of my life. Applying this principal has proven to be one of the most beneficial decisions of my life. Since I was taught to tithe and give since I was a child, I have given thousands of dollars to the kingdom of God and the local church, and I don’t regret one dollar given. God has designed in His wisdom a number – a specific percentage. He knows that our heart has a tendency to horde money and withhold giving. So he has established a number, and has attached his blessing to this particular percentage. 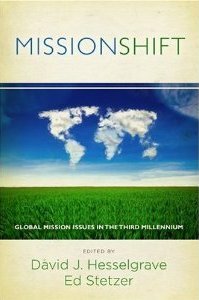 I am participating in a conversation about missions based around a new book called MissionSHIFT: Global Missions Issues in The Third Millenium. This book is a collection of essays on the church’s role in mission and is put together by David J. Hesselgrave and Ed Stetzer. Ed Stetzer spoke at CIL in August, and just started a new church in Hendersonville called Grace Church. MissionSHIFT was written from an academic standpoint, and I am enjoying it very much. Today, I’m responding to only Part 1, as the authors have requested. In part one, we are discussing an essay that was written by Charles Van Engen, and responded to by Keith Eitel, Enoch Wan, Darrell Guder, Andreas Rosenberger, Ed Stetzer and David Hesselgrave. I loved Van Engen’s historical journey through the definition of missions. I especially appreciated his connection of Constantine and the state-initiated missions that happened through colonialism. Still, I don’t understand why the term “missions” has become so complex. I agree with Van Engen, that the term “missional church” in his words, “has now been used in so many ways as to become almost meaningless.” I honestly thought Ed Stetzer had coined the word “missional” (ha! ), so the history lesson on that phrase (p. 9) was good for me to read. I disagree that there is an incredible vacuum in a workable definition of the word missions. In my estimation, missiologist may be over thinking this definition. There is a fear in Van Engen’s writings of the social gospel. He doesn’t want to see the church follow the direction of the World Council of Churches since the 1960’s. I understand that history repeats itself, but it’s hard for me to believe that a commitment to “humanitarian and compassion ministries through agriculture, education, medicine, AIDS-related ministries, children-at-risk movements (p. 20),” as a bad re-definition of missions. The work of Jesus is involvement in issues such as these. I don’t think a church who is uninvolved in these issues has the moral authority to share the plan of salvation through proclamation alone. The evangelical church’s past disinterest with these social issues is hard for the world to understand. I read all the responses from the other authors, and benefited from them all. Yet, as much as I enjoyed this conversation, both Stetzer and Hesselgrave’s responses resonated with me. Both of these authors brought us back to the practical application of these definitions and analysis. The purpose of missions is so simplistic and practical, we need to apply missions before we define it. A church that is outwardly focused will find a variety of missions expressions based off the context they live in, the personality of the leadership, theology and the gifts of the people. The conversation of MissionSHIFT is most helpful in that it creates the desire for more missions laboratories to apply theories. These laboratories may be an evangelical crusade or a social initiative. The important part is activity and action that points people towards Jesus Christ. This is a huge weekend at CIL! Worship Night – On Friday at 7:oo p.m., we will gather for a night of Worship & Intercesssion. 242 Start – Saturday and Sunday, our 242 Groups start for the New Year. There is one Saturday night group, and the rest meet on Sundays at 6:00 p.m. 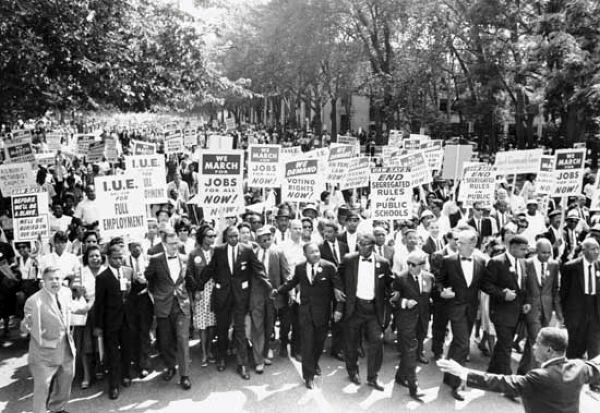 In honor of Martin Luther King Day, I’ll be preaching a message called God’s Plan For Racial Unity. This will be an important message for your life, and our church – so don’t miss! We’re on Day #5 of the Daniel Fast. I trust your feeling better physically, and more spiritually focused. Let’s have an incredible weekend! Our friends at “Upstream Collective” did a blog article about CIL. I think author Natalie Bunch did a nice job re-telling my personal story, and sharing the small steps our church has taken since then. Special thanks to Paul Jackson for being the one to challenge me during the fund-raising process, and Pastor Kim Driver for implementing our vision through Compassion Ministries. Today we are launching the new CIL web-site. Our good friends Andrew and Hannah Brown of Art Pilot Studio did a great job on this! Also, forward this web-site to someone you know who needs to be in church. Maybe this site will spark an interest in them to visit. Help spread the word on all that God is doing through our church! Being “snowed in” and having the College Football National Championship game on TV makes for a tough day to start the “Daniel Fast.” However, it actually get’s better from here! In the next couple of days, your body will stop craving the fried foods, caffeine and sugar. Instead, you will be energized, and better able to focus on worship and prayer. Tonight may be a great chance for you to write down what you want God to accomplish during the fast. When your tempted to give in, focusing on what you are praying for – this will help you. I know all of us a part of CIL are praying for the Holy Spirit to do a great work in our church in 2011. We desire to see the lost come in relationship with Christ, and for all of us to know him better. Remember, we exist to Know His Love, Share His Love.